Investment is one of the most important topics in Moscow. Moscow Mayor Sergei Sobyanin himself said “this is our priority.” Not surprisingly, this topic is discussed in practically all economic forums, meetings, and gatherings. The Moscow mayor even brings this topic up on his Twitter account! 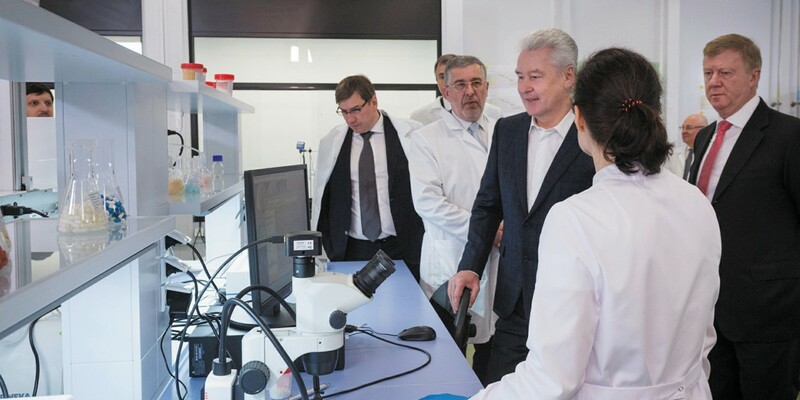 Moscow mayor Sergei Sobyanin declared in an interview with television channel Rossiya 24 during the Russian Investment Forum in Sochi at the end of February that investment volume in Moscow has grown by 7 percent over the last seven years. “Investment was in the area of 800 billion rubles, and now it is almost two trillion. That is a large leap. This is the driver of Moscow’s economy, and leaves us confident that we are going down the correct path. Because of this we are fulfilling our social obligations, filling our budget, and seeing perspectives,” the mayor noted. For example, investors began to be interested in the area around the Moscow Central Ring after its opening. Science parks, new enterprises, and residential construction all have opened in the area. The Moscow mayor named city beautification as yet another means for attracting investment. “A unique public area has been created for pedestrians in which city activities take place. As a result of this, the number of tourists has risen from 14 million people to 21 million. And because of this difference the investment in beautification, fairs, and so on has paid for itself. The yearly investment volume in Moscow approached two trillion rubles, Moscow Mayor reported to the plenary session of the All-Russian economic assembly. “We increased our yearly investment volume in city infrastructure and economy by more than two fold. And it is precisely these investments that have become the engine for attracting private investment,” the Moscow mayor said. He highlighted that every ruble invested in Moscow gives back another three rubles into the city’s economy. Sergei Sobyanin reminded everyone that seven years ago investment was one trillion rubles less than it is now. “Today we have come close to a yearly investment volume of two trillion rubles,” he noted. Moscow mayor Sergei Sobyanin wrote on his Twitter account about how the question of investment activity was discussed at the State Council of the Russian Federation (pressing issues for the country are always discussed here). According to him, investment approached two trillion a year. Sobyanin also reminded the audience of two crises. He highlighted that this indicator grew owing to the removal of administrative barriers and investment into the city’s infrastructure. At the start of December last year Moscow’s authorities approved a bill changing the payment required for the removal of a prohibition on construction or reconstruction of buildings and structures in regards to land plots used only for scientific, industrial, and manufacturing activities. It is expected that this innovation will attract significant investment in the development of over 50 Moscow-based businesses. What is more, this will allow for the creation of new production areas and jobs, and an increase in output volume and growth in tax revenues in Moscow. Why are investors attracted to Moscow? Most of all I like that today there are many young people involved in businesses. They are incredibly passionate about their work. This means that everything is going to be fine with Moscow’s industry. It seems to me that the process of self-reproduction has been successful. First one business appears at a science park, then related jobs and partners grow around it. Then, having seen this success, imitators start to appear. And so on. In the end, an environment that attracts industry to Moscow is formed. But, of course, a form of industry completely different than that of the Soviet Union’s is being given birth to today. Instead of a few dozen giant factories, thousands of small and medium-sized firms are being created. These are not very visible. It is possible that because of this that there is the impression that Moscow has no industry. But believe me, it is there and doing quite well. Of course, large enterprises are also needed. At the same forum in Sochi we signed a contract with Reno that new auto concerns will also draw new component manufacturers to Moscow and take in graduates from tech schools and universities. The city also preserves its tax discounts for automobile manufacturers. The investor looks for the place that is most advantageous and reliable. Moscow has high-quality areas in the science parks. We have perhaps the simplest procedure for hooking up to the electricity network in the world. There are no problems with getting permission for building or reconstructing buildings in industrial zones. Most of all, the best engineers and specialists in Russia which are needed for production live in Moscow. In sum, if you consider everything, opening a manufacturing business in Moscow costs no more than in neighboring regions. Therefore, investors are attracted to Moscow.